Obamacare and putting principle before politics. 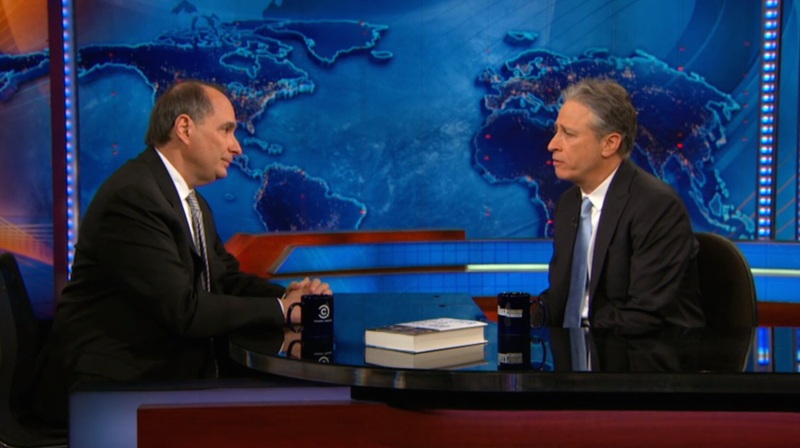 There was a fascinating story told by David Axelrod, who was a Senior staffer in the Barack Obama White House having led his campaign to get him there in the first place, on the Daily Show with Jon Stewart last week. I can’t imagine this story being told about any of our current political leaders. Axelrod was talking about what may be the greatest achievement of the Obama White House, which is the Patient Protection and Affordable Care Act, better known as ‘Obamacare’, but we’ll call it the ACA from here. The ACA was aimed at lowering the amount of uninsured citizens in the USA, which had stood at 50 million when Obama took over. The law requires insurance companies to cover all applicants within new minimum standards and offer the same rates regardless of pre-existing conditions or gender. In a country without any concept of healthcare free at the point of use like the NHS in the UK, the ACA really was for many people a matter of life and death. Yet, whilst you or I in Britain might think that this was a no brainer, it was extremely controversial in the US. Many groups came together and protested that the ACA would disrupt existing health plans, increase costs of healthcare, and increase the deficit. They also have ideological issues with healthcare insurance being seen as an entitlement for all. The groups against the ACA included Conservative political groups, Tea Party Activists, small businesses and even the Unions, who were afraid that the ACA would adversely affect their workers’ health plans. The point is that the ACA was massively politically corrosive, resulting in legal challenges, and entire election campaigns run on the promise to repeal the act. Which is why David Axelrod pleaded with Barack Obama not to try and pass the ACA in the first place. The political price he would pay would be too large, Axelrod feared. But Obama told him that he felt that the political price wasn’t as important as the opportunity to help people get health insurance, which, if it were ever going to get done, needed to get done right at the start of his Presidency. Obama apparently said that there is no point in sticking his approval ratings on a shelf in the Oval Office. Why not spend some approval doing something properly worthwhile? Axelrod didn’t need to be told how important the ACA would be. 19 years before Obama had entered the White House, Axelrod’s daughter had been diagnosed with a disease. Axelrod had been a poorly paid reporter on the Chicago Tribune at the time, but, unable to get health insurance, was spending over $10,000 a year on medication and treatment for his daughter, almost going bankrupt on a few occasions. He couldn’t get health insurance as she had a pre-existing condition, and so there was no other way to help her. But Axelrod’s job wasn’t to tell Obama what would have helped a David Axelrod, his job was to tell him what the political implications would be of his decision to pursue implementation of the ACA ahead of other possible priorities such as education or the economy. Obama, as we now know, ignored that advice. On the night that the Affordable Care Act was passed, David Axelrod took himself off to his office and shed some tears. He shed tears for what they had achieved as a Government, he shed tears for those people who he knew they would be making a difference for, and in particular he shed tears for all the fathers like him who would no longer have to go bankrupt trying to make sure their child gets the treatment they need in the richest country in the world. The result is that over 20 million Americans have received medical insurance coverage that they didn’t have before, and the percentage of uninsured Americans has gone from 18% to 13% in two years. The political price has been massive. As I said at the start, I can’t imagine a British political leader being prepared to pay that price to achieve what they believe in given our political culture. Can you?